1940 – Born – Hawick , Scotland. 1958 – Joined the Parachute Regiment. 1966 – Rowed across The Atlantic in 92 days in an open 20ft dory, “English Rose II” with Capt. John Ridgway. 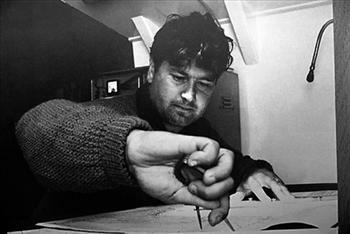 Awarded the BEM and voted Man of the Year..
1968 – Attempted to sail around the world aboard the 30ft yacht “Dyfiscus”. 1970-71 – Became the first person to sail non-stop single handed westwards around the world, aboard the yacht “British Steel”, taking 292 days. 1971 – Was made a Commander of the British Empire (CBE). Voted Yachtsman of the Year and again Man of the Year. Also awarded The Chichester Trophy and became an Honourary Member of the Royal Southern Yacht Club. 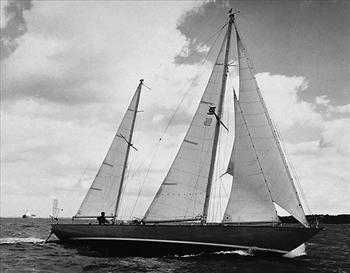 1973 -74 – Skippered a crew of paratroopers in the yacht “Great Britain II”, which took line honours in the Whitbread Round the World Yacht Race. 1978 – Won the Two Handed Round Britain Race in the yacht “Great Britain IV” with Rob James. And came second in the Round the Island Race (IoW). 1981 – Entered the Whitbread race again in the yacht “United Friendly” and was the first British yacht to finish. 1981 – On the yacht “Brittany Ferries GB” won the Two Handed Trans Atlantic Race with Co Skipper Rob James in record time. Came second again in the Round the Island Race (IoW). 1982 – Came second overall and first in class in The Round Britain and Ireland Race on “Brittany Ferries GB”. 1984 – Capsized off Cape Horn aboard the trimaran “Beefeater II” whilst attempting the New York – San Francisco record attempt with Eric Blunn. Rescued by passing fishing boat after 19 hours in the water. 1985 – Co Skipper of “Virgin Atlantic I” with Richard Branson on Blue Riband attempt. 1986 – Co Skipper of “Virgin Atlantic II” with Richard Branson on successful Blue Riband crossing of The Atlantic. 1989 – Chay Blyth founded Challenge Business which was to re-shape global yacht racing opening it up to ordinary people and raising millions for charity in the process. Challenge Business also launched the Trans Atlantic Rowing Race in 1997 and the Transat for Open 60s. 1990 – Attended six month course at the London Business School. 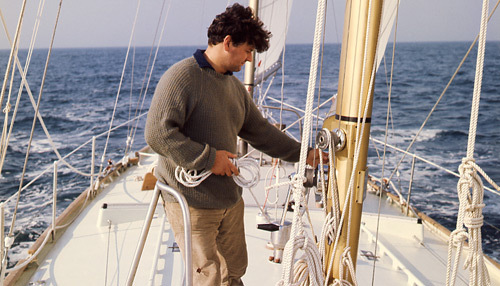 1997 – Chay Blyth knighted by the Queen for his services to yachting. 1997 – Honorary Doctorate of Law from the University of Portsmouth. 1998 – Honorary Doctorate of Technology from the University of Plymouth. 2000 – Chartered Institute of Marketing awards Chay Blyth its prestigious Companion of Honour. 2006 – Appointed Non-Executive Chairman of First Great Western Railway. 2012 – Purchased a new yacht “Lazy Jacques” – renamed “Wullie Waught”.